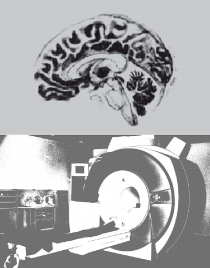 The Neuroimaging Center is a core research platform of the University Medical Center (UMC) of Johannes Gutenberg University Mainz (JGU). It is organized by the Focus Program Translational Neuroscience (FTN), an interdisciplinary alliance of neuroscientists in Mainz, funded by the State of Rhineland-Palatinate. The NIC is headed by Raffael Kalisch, Professor for Human Neuroimaging at University Medical Center Mainz, who supervises the support team. Applications for MR scanning time are evaluated by the NIC users in the bi-weekly NIC meeting.